While the foliage is obviously the main attraction of autumn, another reason why the season is so beautiful in New England is the weather. It is common to have warmish days and cool nights, which produces atmospheric fog and mist in the valleys. 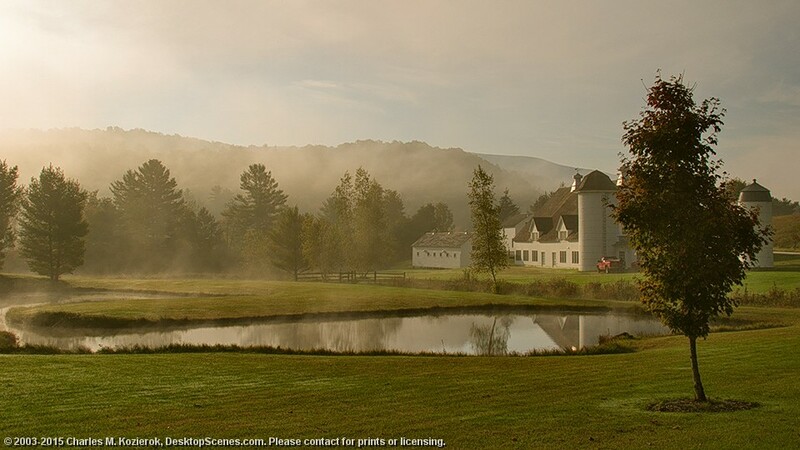 I found this lovely farm in the Battenkill River valley south of Manchester, lit up by the early morning sun burning a layer of fog off the valley floor.